Experience a professional photo editor designed by the passionate photo enthusiasts who use it. PaintShop® Pro 2019 is your affordable, user-centric alternative to Photoshop—with every new feature inspired by user ideas. Make compelling compositions and impactful design projects using a complete set of professional image editing tools. 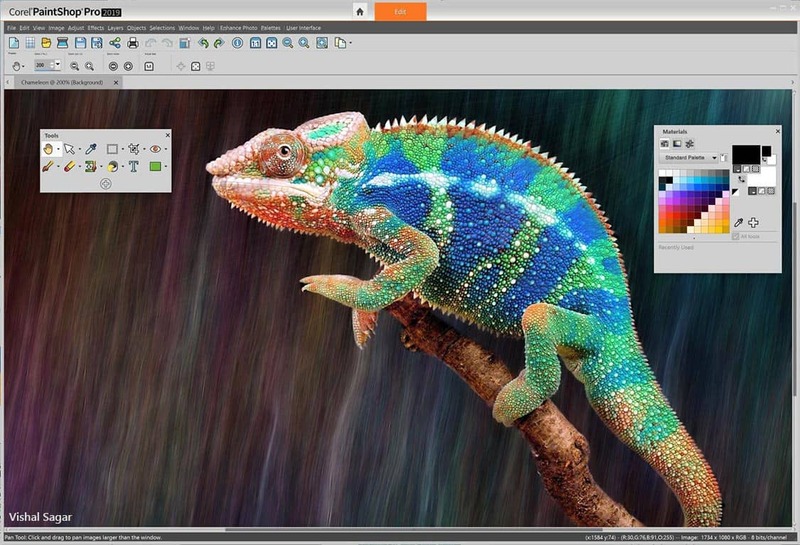 This latest version delivers a quicker, more robust PaintShop Pro, that’s easier to use and more creative than ever. Retouch and enhance your images with a complete set of progressive photo editing tools. Enjoy powerful, layer-based editing. Design with text, brushes & textures, plus drawing and painting tools to produce attention-grabbing designs. Crop, resize, straighten, enhance and retouch, or use the one-click adjustments to instantly correct. Eliminate imperfections & unwanted photo elements, from a small scratch to an entire background.